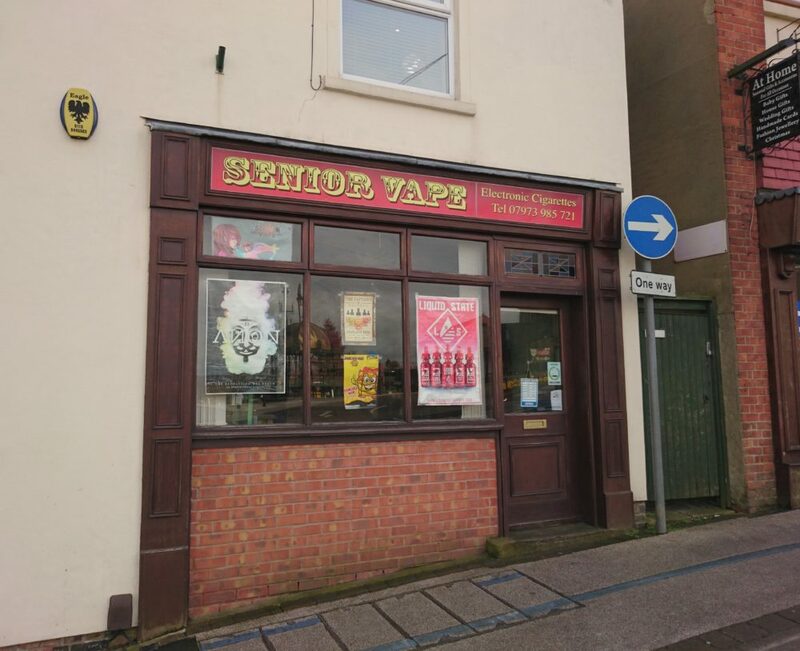 Senior Vape is a family run Vape business that has two shops. One at 16 Mansfield Road Eastwood Notts, and the other at 20 Main Street, Kimberley, NG16 2LL 0115 9385675. We give customer service the way it used to be, nothing is too much trouble, if you are a first time convert or an experienced vaper., you will get the same level of expertise from our experienced staff. We offer the latest inovations to hit the market before anyone else, so you will always be one step ahead of the game. Unlike many other e- cig shops, we dont sell fake products, so you can feel confident that you are buying the real thing, not some second rate copy. We try and keep the information on the business directory as accurate as possible. The last thing we want is a customer on their way to a business turning up to a ‘closed’ sign or not being able to book that last minute table or appointment! If you think you’ve spotted a mistake on one of our pages let us know using our ‘Submit a Story’ contact form and we’ll try to get it fixed as quickly as possible. If you are the owner of this business and would like to add a little more to your bio, change a phone number or add some nicer pictures, please use the very same contact form ‘Submit a Story’ from the homepage or from HERE.